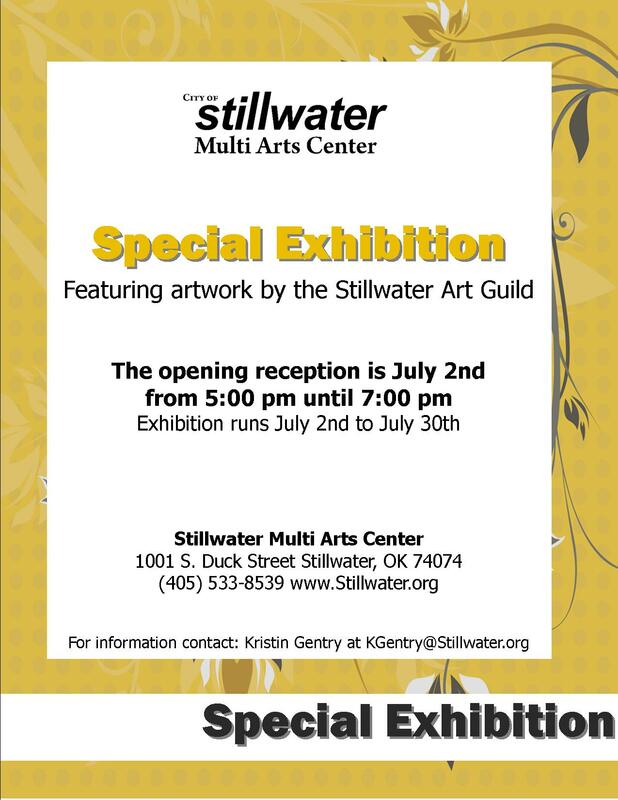 Artist must be a current member of the Stillwater Art Guild. Three pieces will be accepted. Art must be ready to hang or display, no exceptions. All pieces must be labeled with Name, Title, & Media. Commission rates are 35% for citizens outside of Stillwater, and 30% for City of Stillwater residents. Please label pieces NFS if you do not wish to sell your art. This entry was posted on May 20, 2010 at 2:35 pm and is filed under Events. You can follow any responses to this entry through the RSS 2.0 feed. You can skip to the end and leave a response. Pinging is currently not allowed.